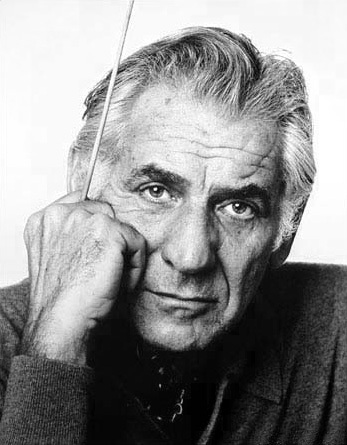 Leonard Bernstein ( ; August 25, 1918 – October 14, 1990) was an American composer, conductor, author, music lecturer, and pianist. He was among the first conductors born and educated in the US to receive worldwide acclaim. According to music critic Donal Henahan, he was "one of the most prodigiously talented and successful musicians in American history." His fame derived from his long tenure as the music director of the New York Philharmonic, from his conducting of concerts with most of the world's leading orchestras, and from his music for ''West Side Story'', ''Peter Pan'', ''Candide'', ''Wonderful Town'', ''On the Town'', ''On the Waterfront'', his ''Mass'', and a range of other compositions, including three symphonies and many shorter chamber and solo works. Leonard Bernstein at Harvard "the unanswered question," Norton lectures 1973. Musica Latino-Americana Musique d'Amerique Latine = Music from Latin America = Lateinamerikanische Musik. A quiet thing songs for voice and guitar.